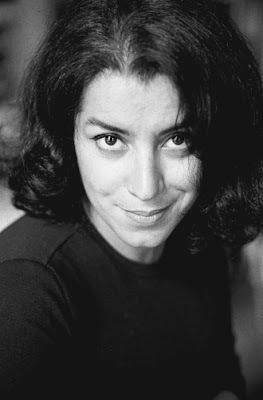 Monday April 7th, Marjane Satrapi, author of "Persepolis" gave a talk as part of the Literary Arts & Lecture Series. As soon as I found out I was going I picked up a copy of her graphic novel (a title which she despises. She likes them to be called comics.) So I picked up a copy of her comic "Persepolis" so that I could know more about her life. 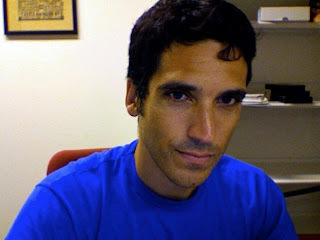 I became fixated on how one choses to present themselves. Since the wikipedia entry is pretty slim I focused on comparing the picture at the back of the book to the self portrait she drew of herself. I had a hard time believing that they were the same woman. I couldn't find the beauty mark on the right side of her nose. I felt that this was an essential part of her face. She references to the day this mark came to live on her face in her book. The character I came to adore, was not this woman in the back of the book. Regardless, as soon as Marjane Satrapi came on stage, I could finally see the woman in the comic. Satrapi is a wonderful speaker. She was really inspiring and is definitely not afraid to speak her mind. She is educated and ballsey. Two wonderful traits to have, especially in a woman. My mother, who was not interested in reading the comic before going to see Satrapi talk, was suddenly eager to get the book from me. I am always amazed at how much the world knows about America, and how little the Americans know about their own country, let alone foreign nations. "Persepolis" introduced me to Iran. I know I would not have learned as much as I did if this book was not a personal story. I was attracted to the book because of who was telling the story rather than what it had to say. She truly is a remarkable women. As the lecture came to an end the audience began asking her about her smoking habits and how she felt about the new law forbidding smoking in Paris, where she lives. She responded by saying that she didn't appreciate the government treating adults like children and telling other people what to do about their health. Then she simply added this quote from The Cure, "All great art was made by smokers." So you non-smokers should appreciate the work of smokers. 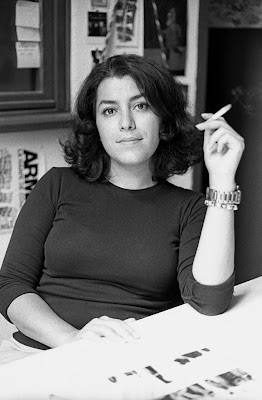 And so forever more I will think of Marjane Satrapi as the woman pictured below.